Human trafficking, domestic servitude, forced labor, and child soldiers are just a few forms of modern day slavery affecting vulnerable populations—women and children especially—around the world. While often hidden, these exploitive practices are in fact present in the United States—and even Western Pennsylvania. In recognition of International Women’s Day, the World Affairs Council of Pittsburgh, the YWCA Greater Pittsburgh, and Bricolage Production Company have joined together to bring awareness to human trafficking and other acts of exploitation. These are issues of tremendous importance both locally and around the world. A panel will be moderated by Deb Acklin, President and CEO of WQED Multimedia, and will include Elizabeth Echevarria, CEO and Founder of Living in Liberty; Anne Rackow, Planning and Evaluation Manager of the Project to End Human Trafficking and Co-Facilitator of the Western PA Human Trafficking Coalition; and a representative from the FBI. 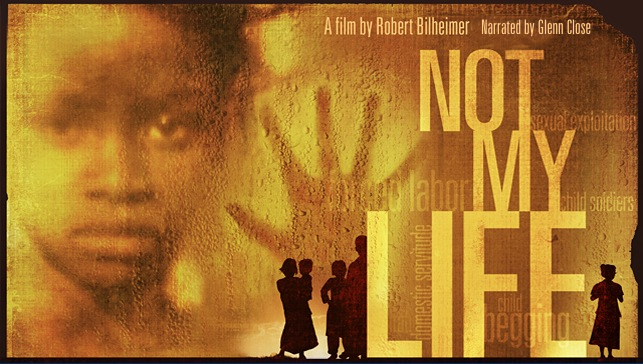 Filmed on five continents and in dozens of countries, Not My Life takes an in depth look at human trafficking on a global scale. The documentary showcases regions of the world, including the United States, where millions of children are exploited every day.